Vegan Bytes #39- Do You Follow the Plate Rule? *Question: "Is there such a thing as gluten-free seitan?" *Question: "How do you cook greens?" We're on a mission to reach more people on facebook, so please come like us at facebook and share with your friends. You can see fun pictures of my travel adventures, favorite recipes, and pictures and links that I don't share on the website. For a long time I've been suggesting the best way to make sure you get the appropriate kinds of food in your diet is to use your dinner plate for a guide. Half the plate should be filled with vegetables, and the more variety, the better. A quarter should be whole grains, and the remaining quarter should be beans. Fruits for snack, as condiments, and as desserts. To top it off, nuts/seeds/healthy oils as condiments and snacks. Eating those proportions will keep you healthy and feeling balanced. Not long ago, the USDA released a new shape to their food guide; a circle. For as many years as I can remember, they had the handy food pyramid to guide us on what to eat, but it just wasn't practical. Most people don't keep track of absolutely everything they eat in a day, and it's hard to remember how much you need of everything. 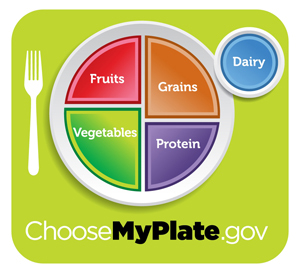 The new USDA food guide is called MyPlate, and I think it has several excellent pointers about how to eat a healthy, balanced diet, and I'm happy to say that they're minimizing their suggestions for dairy and meat. It's definitely worth a few minutes of your time to customize yourself with their guidelines and see if you agree with me that it's better than the old food guide pyramid. What do you think of the new food guide? Blueberries are the second most popular fruit across the United States, and they're highly popular all around the world, so I can be pretty sure you're going to love this month's nutritional spotlight. Blueberries are packed with nutrients and have actually been proven to help prevent many serious health issues like obesity, cardiovascular disease, and diabetes. Even if you suffer from none of those ailments, the antioxidants in blueberries will help maintain healthy weight and blood pressure levels, and they work like natural anti-depressants, keeping you happy and healthy for longer. 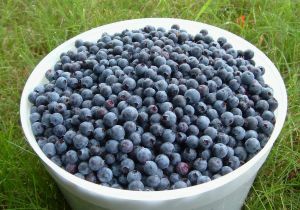 Click for a full article on the health benefits of blueberries. And, don't forget to check out this month's featured recipe, featuring our featured fruit, the blueberry! Question: "Can I make gluten-free seitan?" What can I use to make my own gluten-free seitan? I use a lot of legumes and nuts but would love to make nuggets and things as occasional treats for kids parties. My other question is about cheeses. 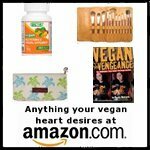 What is a good recipe for "vegan cheese"? Is there such a thing as a nice soy cheese? Can I use tofutti the way I would use a cheese sauce for mac'n'cheese or cauliflower au gratin? What's best for risottos and pizzas? This was a fun question to get because it's different. Gluten-free seitan? It never crossed my mind and I wanted to know the answer too. It turns out there are some options! Read to find out about Gluten-Free Seitan and also check out my opinion on the best vegan cheeses on the market. Question: How do you cook greens?" My mom recently told me she doesn't like the beet greens that come right out of her garden, and I was shocked. I asked her how she was cooking them, and I found the reason. I doubt I'd have liked them that way either. In her honor, we put together a page about how to cook greens. Read to learn the best ways to cook greens. Several recipe testers help make sure the bread recipes come out perfectly, so they are flavor/texture/instruction-tested and approved! Learn more about the bread baking tip that's almost too easy here or download your copy for only $7.95 now. The raw food movement has been steadily gaining ground, and as it does, exclusively raw restaurants have become all the rage. 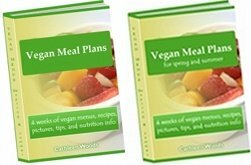 They not only showcase the best attributes of raw fruits and vegetables, but they also dehydrate, rehydrate, soak, and blend up nuts, seeds, and grains into amazing dishes. One of the specialties of raw restaurants is usually the dessert case. If you've never been to a raw restaurant, you'd be shocked at how good a raw strawberry shortcake can be, or how raw chocolate mousses fluff up just like their old fashioned egg-filled cousins (or even the vegan tofu mousses) do. This month's recipe is a special one, designed based on some fresh blueberry picking we just did at a local u-pick farm. 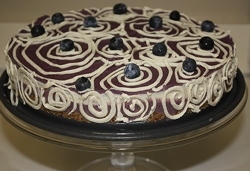 Check out my recipe for the most amazing, light and fluffy, as well as decadent, Raw Blueberry Cheesecake.